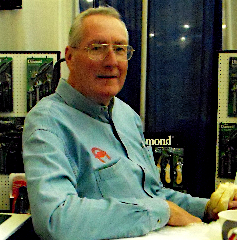 Leading farrier Danny Ward of Martinsville, Virginia has died. 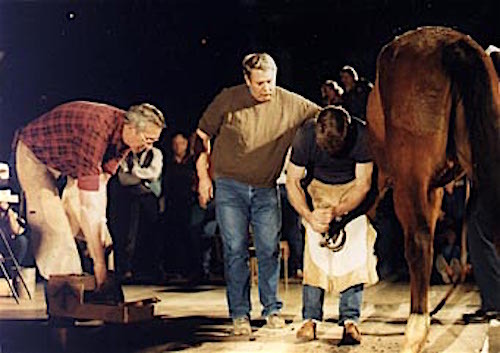 An icon of the horseshoeing industry, he leaves an enigmatic legacy that is less about his many accomplishments, and more about what he gave, and the example he set. Danny Ward's death reminds me of a message you get when you try to fix some really great thing that you've had for a long time. All of a sudden, it's broken and you know you have to get it fixed because they just don't make them like they used to. You finally reach the manufacturer online or on the phone, and get back the curt message, "Replacement parts unavailable." You have to make your own. Or start over with a new one. That's the way it is when someone dies. Who'll replace them? More often than not, no replacement parts are to be found for so many of your favorite things. And people. The school didn't really need a sign. You couldn't mistake being there for being anywhere else in the world. Perhaps there is someone reading this who doesn't immediately know who Danny Ward was, but if you are in the horse world, chances are you have been touched directly or indirectly by him. He taught horseshoeing at his school in Martinsville, Virginia and educated thousands of young and old horseshoers who went out into the world and touched many more thousands of horses and, in turn, taught others about horses and hooves (and hammers). For anyone who's keeping track of facts, remember that Danny didn't talk that much about his accomplishments, though there were many. He had turned 73 last month. He learned horseshoeing from his father, the legendary Smoky Ward, who started teaching horseshoeing in Martinsville in the 1960s. 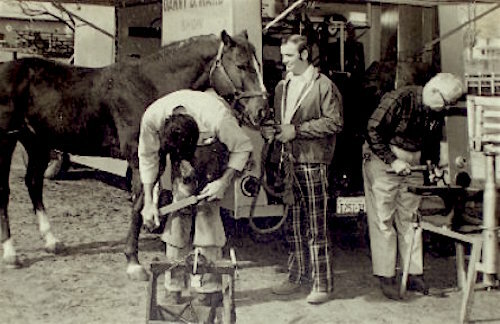 The Wards made national news when they officially opened the Eastern School of Horseshoeing in 1966 with engineering assistance from Virginia Polytechnic University and even federal funding. Smoky Ward was a character, and a visionary. He could see that there was a demand for horseshoers as the popularity of recreational riding boomed. And he believed he could teach people to shoe horses. According to records, it was the second private horseshoeing school to open in the United States, and became one of the most famous and well-attended. 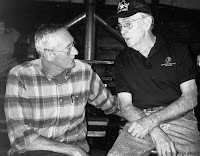 Smoky's first student, no doubt, was his son Danny, who started working with his father as a teenager, and later his daughter, Jessie, as well. They later took over the school. Danny Ward shoeing a horse while his father, Smoky Ward, works at the anvil, in the 1960s. 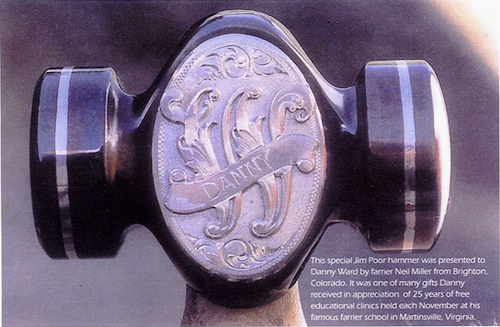 Danny has a list of honors and achievements in the farrier industry that is second to none, particularly through his roles in farrier competitions, as well as in the progress of the American Farrier's Association and the Virginia Horseshoers Association. He judged or won every contest, and both competed on and coached the North American Horseshoeing Team (later known as the American Farriers Team). He traveled to Ireland, England and Scotland to represent the United States in some of the toughest competitions in the world. He was a talented artist who could "forge" beautiful things from silver and copper, as well as steel. The American Farrier's Association honored him with their clinician-of-the-year award. Blue Ridge Public Television made this short video about Danny and his school about ten years ago. It highlights Danny's signature self-effacing attitude toward his accomplishments. Danny will be officially remembered as a teacher, and as a generous, easy-going, behind-the-scenes and even anonymous facilitator and benefactor. He will unofficially be remembered as someone who threw a heck of a party. Every year in the first week of November, he would open his school for the farrier equivalent of a college homecoming. Former students, friends, friends of friends, manufacturers, and everyone else was welcome. It was like Woodstock for farriers, an annual meeting of the tribe. During the day, it was nonstop education, trade show and fundraising for charity. At night, a band played traditional bluegrass and country classics. People danced and ate and imbibed exotic local concoctions. Once the sun went down, I put the camera away. Outside, bonfires blazed. People played guitars and sang, pitched tents, howled at the moon, and got their trucks stuck in the mud. Many realized that they had no idea how to get back to town and their hotels. Cell reception was dodgy and there was no wifi code. But they didn't seem to care: they were where they wanted to be. Danny never charged for any of it. He fed hundreds of people three meals during the day-long event, and raised thousands of dollars for charity, often the St Jude Hospital for Children or the Make-A-Wish Foundation, with colorful, comical and unforgettable auctions and entertainment. One memory is of him telling the crowds that it was a "guaranteed raffle" with a prize for every ticket purchased. No one would go home empty-handed, to which he added with a chuckle, "And if we run out of prizes, we'll just go through a truck or two outside and find something for you." And after he had given all that away, he would write thank you notes to everyone for coming. 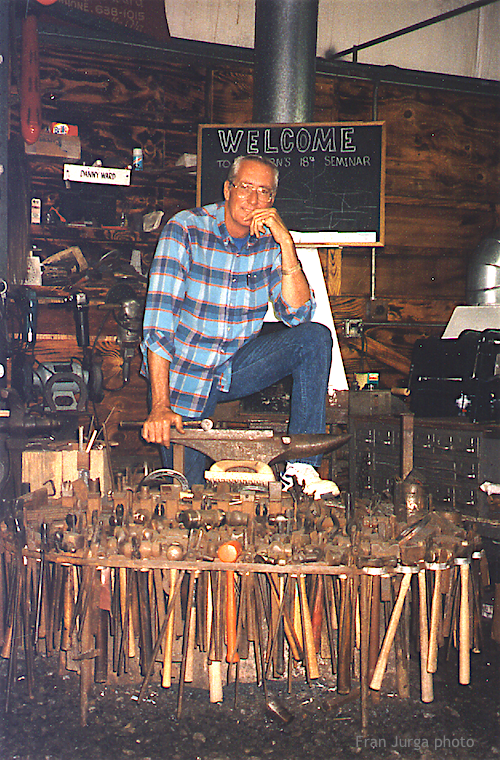 In his later years, Danny did celebrity marketing and demonstrations for the Cooper Tool Group and its subsidiary, Diamond Horseshoes. Everyone was always happy to see him. In recent years, he had been quiet; you wouldn't be likely to find Danny making comments on Facebook or posting his shoes on Instagram. Danny had been in ill health this winter and was in a hospital in Roanoke, Virginia. He died of kidney failure on Thursday. Danny was cared for unselfishly throughout his illness by his sister, Jessie. Her personal strength, plus her dedication and love for her brother have been remarkable to witness. Jessie said that Danny will be cremated and that perhaps a fitting celebration of his life will be planned for sometime in the future. "It is impossible to measure the impact that he has had on this industry. I just hope that as everyone thinks of a story, a moment, a lesson gained from him, that they will think to themselves 'How can I help someone else?'. For that I think is the true legacy of Danny, he was always trying to help the next person with anything. "Not only did he share farrier advice with me but he also gave me personal advice, which is what I’ll remember the most. His impact will live well beyond his lifetime through all of those that he has educated and influenced. "I am sure many years from now, you will still hear people say 'Danny Ward showed so and so how to do this and then he/she showed me'." 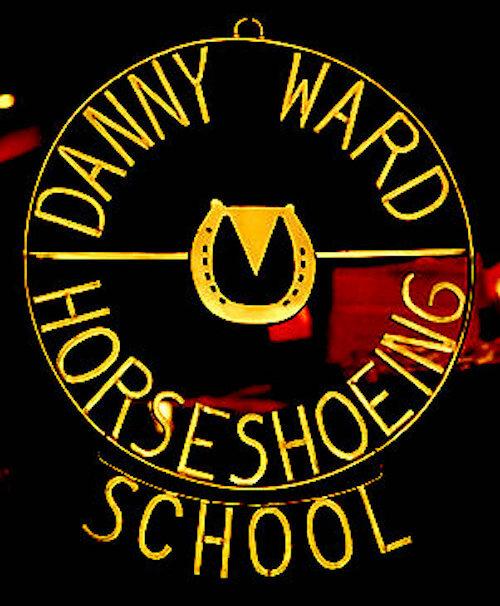 There's an old saying about how we are all "standing on the shoulders of giants" as we move forward in history, but in the case of Danny Ward's role in the horseshoeing profession, that is a literal fact. I don't know where the farrier profession is headed, but I do know a bit about where it's been, and if you are looking at a map of the farriery profession, you'll be sure to notice that Martinsville, Virginia has a big bright star that is a little taller than the rest. As it should be. Shine on. 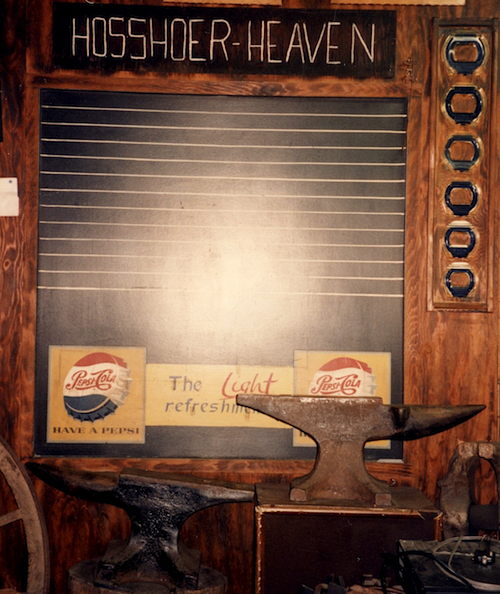 The sign above the blackboard at Danny Ward's Horseshoeing School takes on a new meaning now. 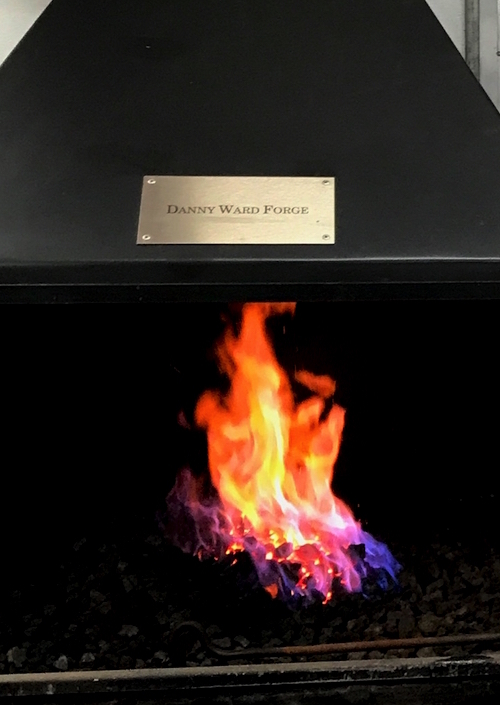 Beautiful tribute to Danny Ward. Dittos to that. A fine tribute to a great man. I'll never forget him. Great tribute to a true legend. Danny's ability to share knowledge with others and common sense to approach with problems are what he instilled in others. The Danny Ward clinics I attended changed my entire career. Thanks, Danny we will miss you. Danny was a great man as well as a true friend. When my son was injured six years ago he took the time to hand make tools to be raffled at my son's benefit. That truly touched my heart. I will forever remember our times together. May you rest in peace big man... Chad C. Clayton. Such a well-written tribute about a wonderful man and a talented professional. I truly miss the hoof care magazine in hard copy. Fran you are a great asset to the farrier world. You are very kind, Wes. I miss the magazine in hard copy, too. We have to move forward, of course, but I think we need to know where we've been, too, and who's been there with us. I know I will never forget the people I've worked with and written about and the times and changes we have seen. Best to you, Wes, and to all Danny's friends.